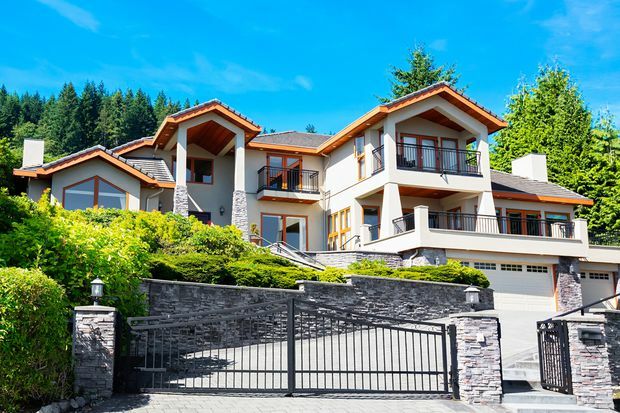 After the recent drop in sales of luxury properties across Canada, observers are predicting that 2019 will bring modest increases in sales volumes and prices in what remains a buyer’s market. A report released by the real estate brokerage last month showed that Vancouver, Toronto and Calgary saw large drops in the sales of high-end real estate in 2018 as sellers moved to the sidelines. In Vancouver, the number of homes that sold for $1-million or more was down 26 per cent, and those priced at $4-million and more fell 49 per cent. In Calgary, sales of homes priced at $1-million or more fell 10 per cent, while in the Greater Toronto Area they declined 31 per cent and sales of homes worth $4-million or more fell 40 per cent. Prices in Vancouver have contracted as much as 30 per cent for detached homes as a result of rising interest rates, tougher mortgage qualification rules and higher foreign-buyer taxes. One reason for low sales volumes among high-end properties in Toronto is that “there are a lot of people sitting on luxury homes” because there are few three-plus-bedroom luxury condos that down-sizers can move to, says Trish Bongard Godfrey, a sales representative at Chestnut Park Real Estate Ltd. According to the Toronto Real Estate Board, in December the average detached home in central Toronto sold in 34 days for $1.8-million. Prices in Vancouver have contracted as much as 30 per cent for detached homes as a result of rising interest rates, tougher mortgage qualification rules and higher foreign-buyer taxes, says Faith Wilson, principal of Faith Wilson Group – Christie’s International Real Estate. Ultra-elite buyers are not necessarily affected by such factors, she says, but they can have an impact on overall confidence levels. Montreal was one of the strongest markets in Canada in 2018. Sales of homes worth $1-million or more increased 20 per cent in 2018 over the prior year, though sales of homes worth $4-million and up fell 8 per cent, according to the Sotheby’s report. Mr. Henderson expects to see prices rise in Montreal and Toronto this year, though not at the “unprecedented pace” of the past few years. He says there will be downward pressure in the high-end Calgary market due to lagging oil prices. In the United States, data from the National Association of Realtors shows that purchases by Canadians are markedly down, Mr. Henderson notes. Buyers from Canada bought US$10.5-billion worth of such properties in the country in 2018, a decline of 45 per cent from the 2017 level of US$19-billion. U.S. markets that are popular among high-net-worth Canadians are stable, however, with prices and volumes expected to remain healthy this year. Mr. Locati has seen some Canadians at the lower end of the market cash out, concerned about the low Canadian dollar. But buyers in the luxury category can still find value in the Phoenix-Scottsdale area, and those with means have remained. In Florida, Canadian luxury buyers have been active in the southeast and west coast of the state, and they tend to focus on new condo developments, says Fernando de Nunez, executive vice-president of One Sotheby’s International Realty in Miami. Values have remained strong as luxury buyers come to Florida from the U.S. northeast, he says, especially amid the limited supply of high-quality new waterfront condos on the market in wealthy Broward County. “Prices are holding,” Mr. de Nunez says, crediting the strong U.S. dollar, the country’s booming economy and the fact that 1,000 people a day move to the state.